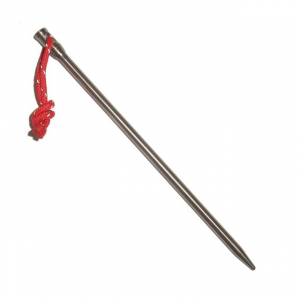 The odds strongly favor the possibility that the manufacturer of the awesome bomb-shelter tent you bought skimped on the stakes to save cost and weight. Therefore you'll be needing a few more decent ones to get the job done. Consider these if your winter trips (or sand camping I assume) tend to be in pack-able snow. 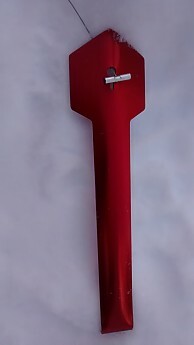 Possible dual purpose as a poo-trowel? 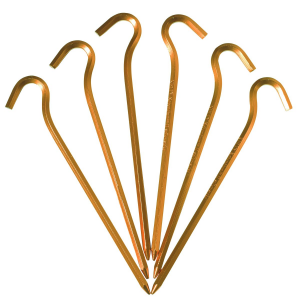 I tested these stakes along with a four-season MSR Remote 2 tent. Regular stakes do practically NOTHING for you in snow when the wind comes. If you are in deep snow and can't find anything to bury as a dead-man you could be in serious trouble when it blows. Last summer I saw a tent take wing and blow completely away on Mt. Rainier, never to be seen again. The climbers were setting it up before staking it down (oops), turned away for a second, and it was gone. Bye bye $600. Luckily for JR and his partner, there was room in the shelter at Camp Muir. My tent was "full." 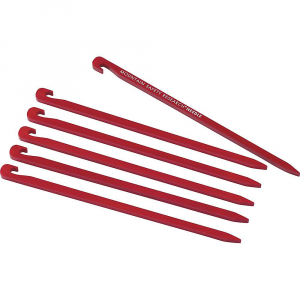 The two sizes of durable aluminum stakes I tested measured roughly 9 and 13 inches long respectively with stainless steel cables measuring 17 and 26 inches. 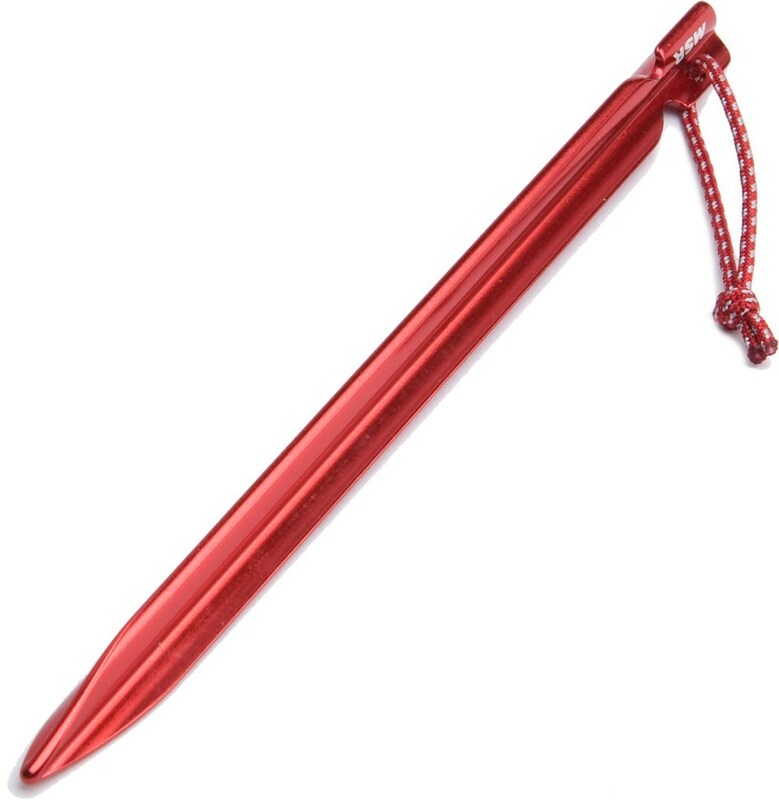 In my opinion, if you need a strong snow anchor the larger stakes are the only real option, even though they are huge and bulky because the little ones were too similar to regular tent stakes that your tent probably already came with. 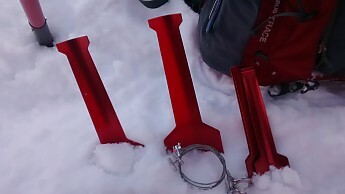 Unfortunately, my experience with these stakes was in bottomless champagne powder snow near zero degrees F. The snow was so powdery that I had to keep my skis on to set up my tent or risk sinking up to my waist. I tried really hard to stomp-pack the snow to make these stakes work but my efforts were futile. Imagine trying to pack chicken feathers and you'll get it. Waist deep pow is great for skiing, not so much for tent stakes. Since the snow wouldn’t pack, burying anything smaller than a Volkswagen was an exercise in futility. I’d like to get more time on these stakes to confirm my supposition that, in the correct conditions, they would be pretty rad but deadlines prevent that for now. If I have the chance I’ll post more as I get more time with them. It seemed like such a good idea if I had been in firmer snow. Much like a fluke-style snow anchor familiar to climbers these use surface area to keep themselves buried in snow, which is a fine concept in pack-able snow. Unfortunately, I have yet to winter camp in such conditions this year. In powder, they pull right out, making the old "find a rock and bury it" plan or using my skis as stakes my best options. I actually found myself kind of dreading bringing these stakes because they are so darn big and take up so much space. Winter camping is for sure a big pack adventure but if I can get away with carrying less, I will. I ended up just using skis and poles for stakes like usual. Anyone camping on spring or summer (packable) snow with high winds and nothing on hand locally to bury. I know I sound like I hate them but I think they'll perform really well on glaciated volcanoes this summer. 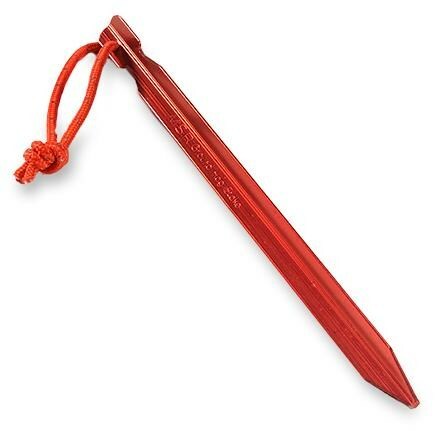 I use SMC snow stakes and they work only OK in softer snow, even when stomped down. Bummer on the situation. This lowlander wouldn't think about different types of snow effecting use. Thanks for the review, Sage. Well, I'm not sorry you had powder! But, I hope you'll let us know how these work out as you encounter more packable snow. Thanks for the initial info, Jeff. Growing up in Minnesota, those would have worked great. Once the snow sits through a couple of days of sun or a sub zero night, no problem. I have had my ToughStakes for 4 years (when the ToughStakes company was a start-up, before MSR bought them), using them in sand and snow. There are tricks to using them in both conditions. 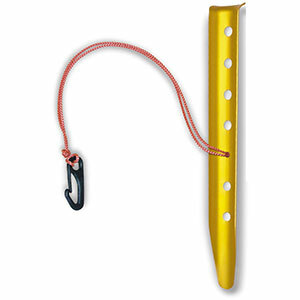 The tricks both involve packing the snow or sand or alternatively using the stakes as "dead-man" anchors. Snow, including soft powder, can be packed by walking and stomping back and forth on skis or snowshoes (snowshoes work better since they have less flotation than backcountry skis). 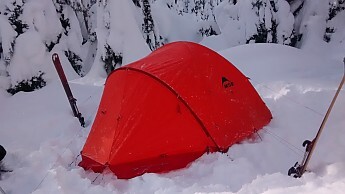 You need to do at least a bit of compacting in powder anyway, to keep from sinking the tent floor into the snow anyway. Sand uses a somewhat different approach to compacting. 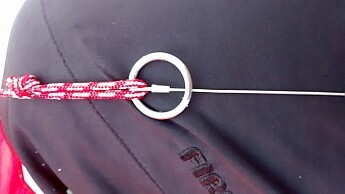 Need to add a couple things - The recommended sand solution by the original designer was to push the stake into the sand at a roughly 45° angle, then pound it in further with a mallet (but who carries mallets when backpacking? ), This does seem to compact the sand sufficiently, though I did not encounter "Sahara Desert sands) I just buried the the large toughstakes in sand as a deadman. I also used the deadman trick in super-powdery light fluff in the Tetons. As for powder snow, I did encounter measured 35 knot winds several times and found stomping the tent platform to work sell enough. It looks like standard snow+sand stakes are much more versatile. I've used mine in powdery snow only a few inches thick. That required me to grab the snow from large area to cover the stakes, then jump on them for a while. :-) The hold was very good.